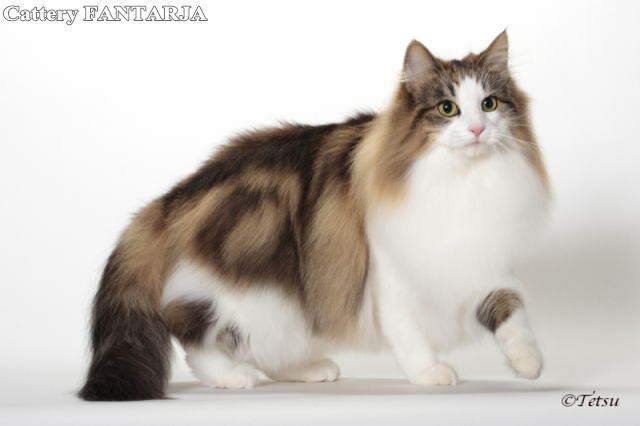 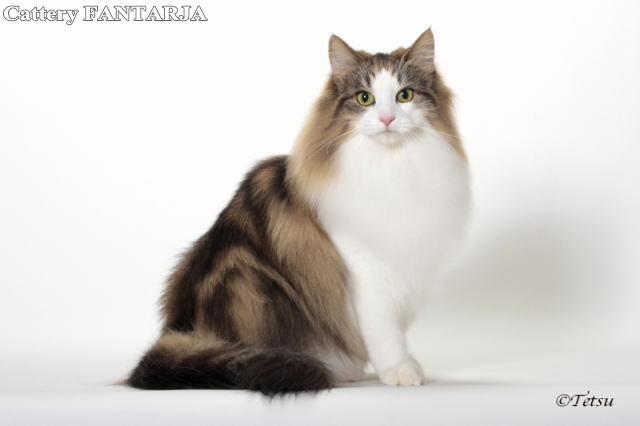 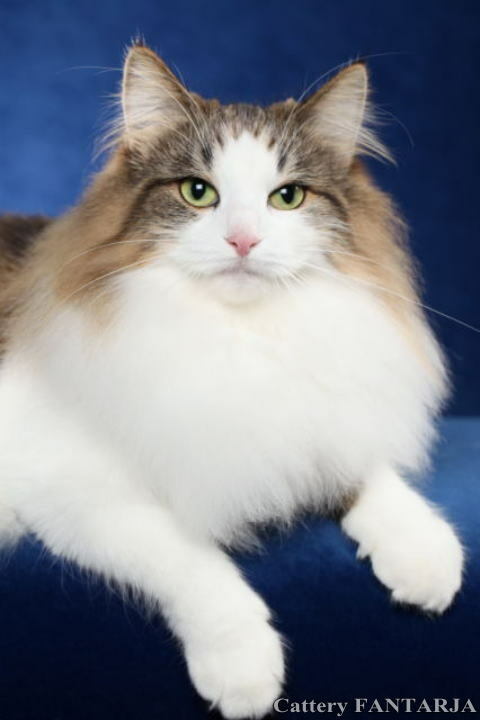 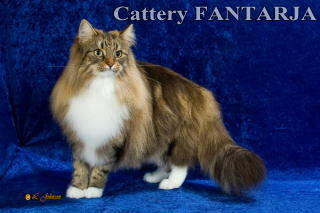 It is a Norwegian Forest Cat a very wild. 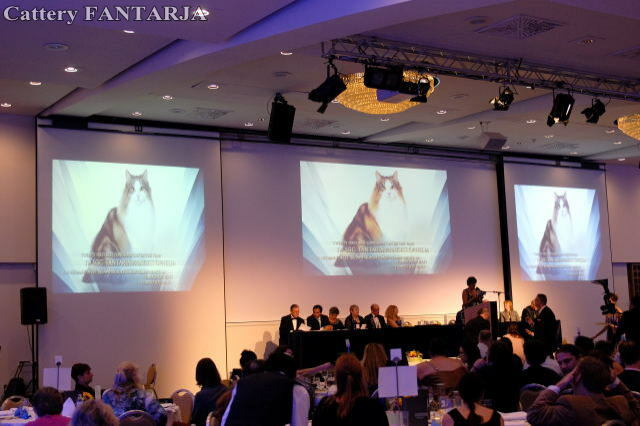 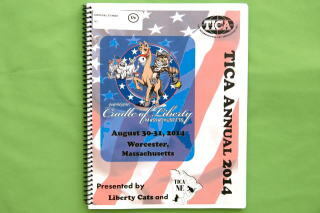 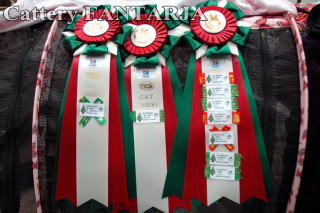 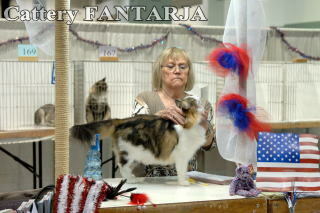 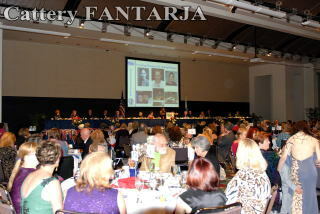 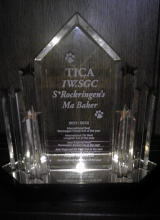 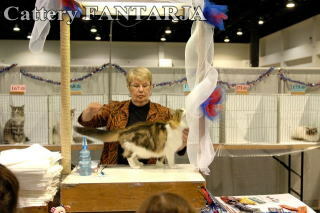 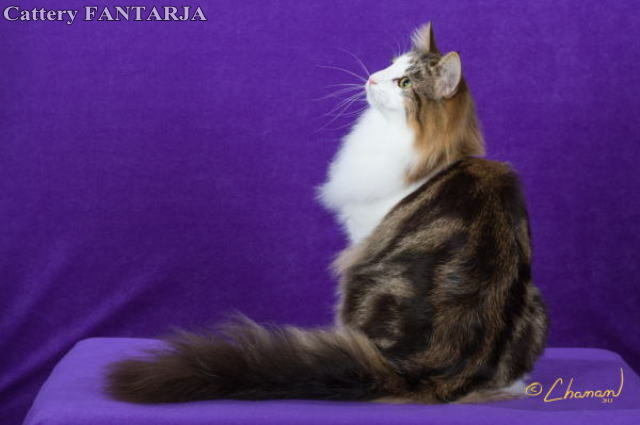 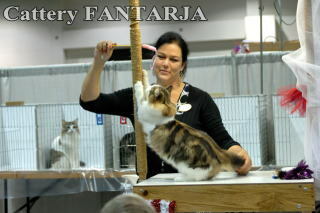 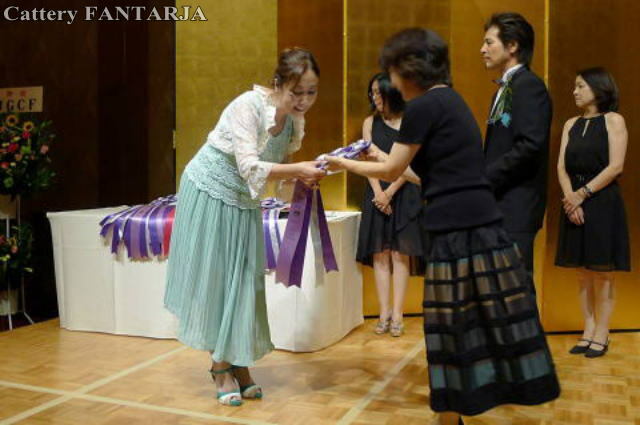 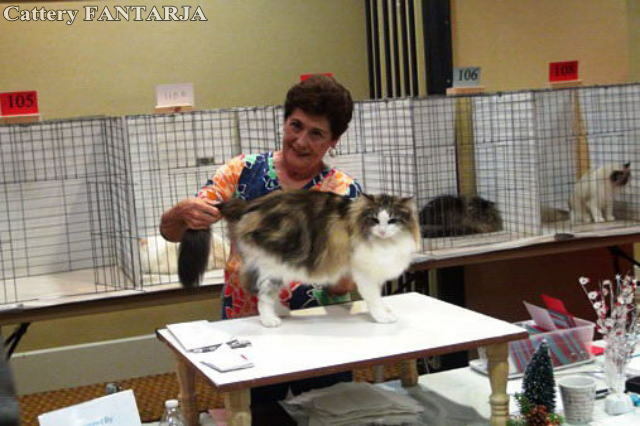 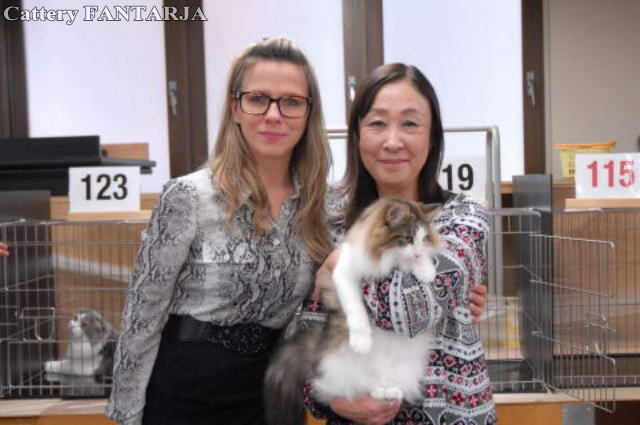 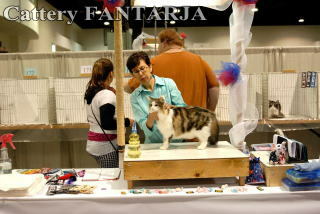 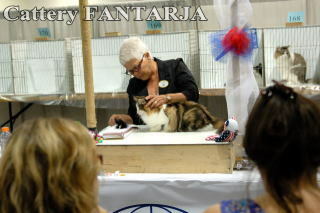 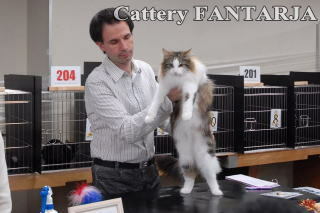 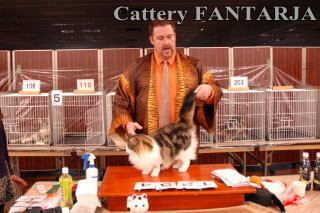 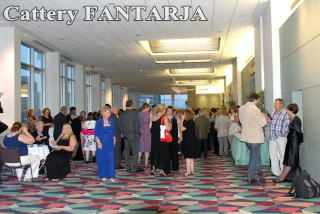 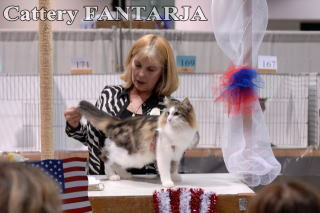 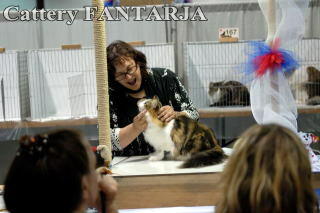 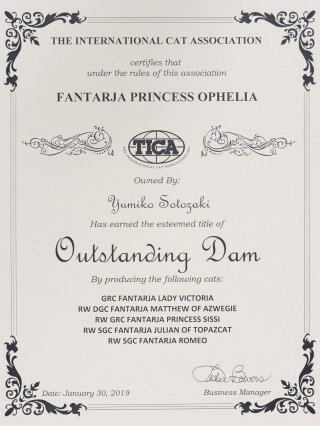 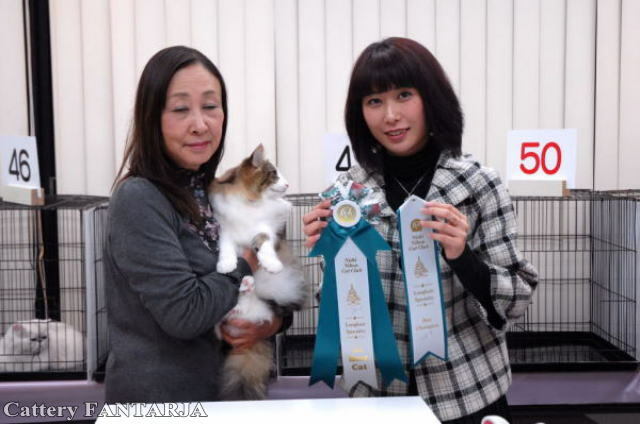 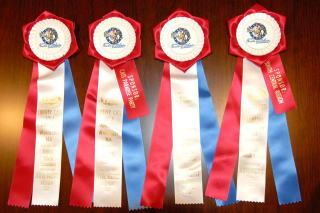 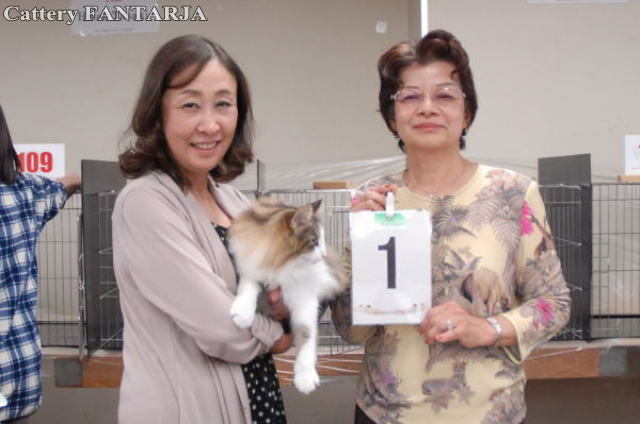 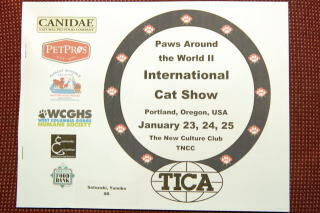 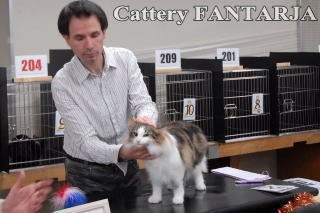 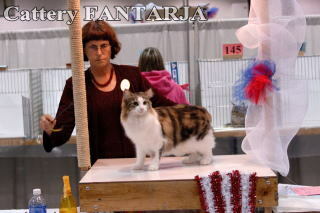 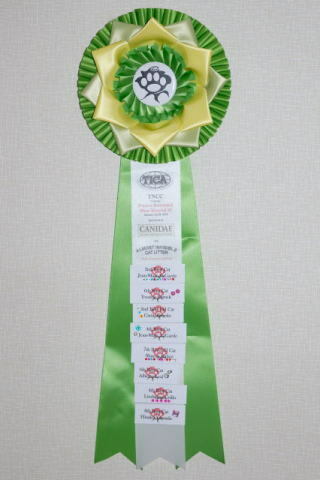 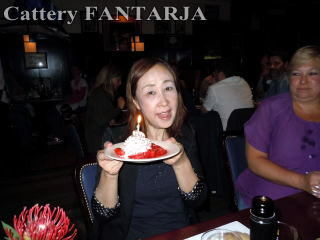 It is Fantarja owner has received the award of five animals. 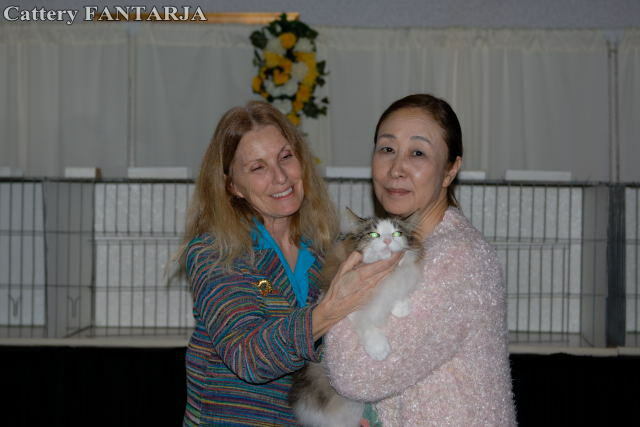 Came born for a show cat "She is Ophelia. 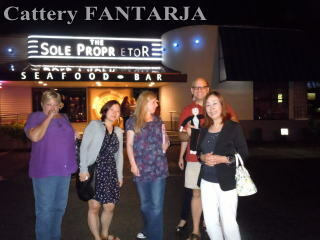 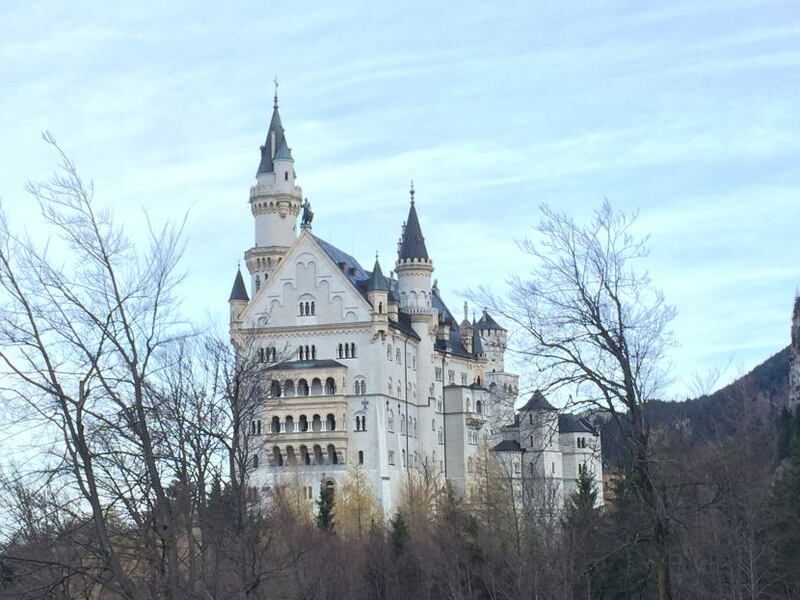 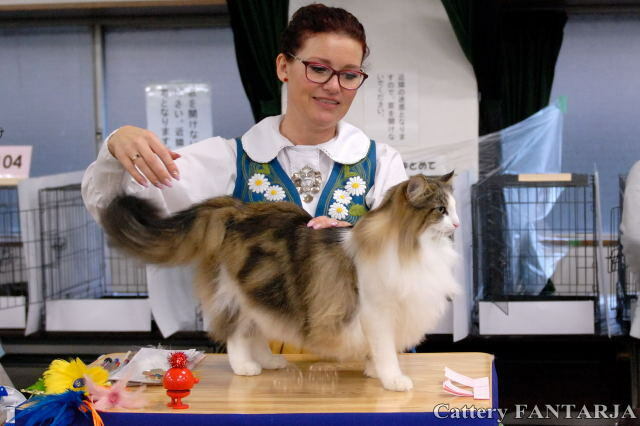 It is a super "Norwegian" that has equipped an aura in the whole body. 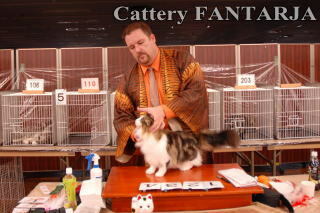 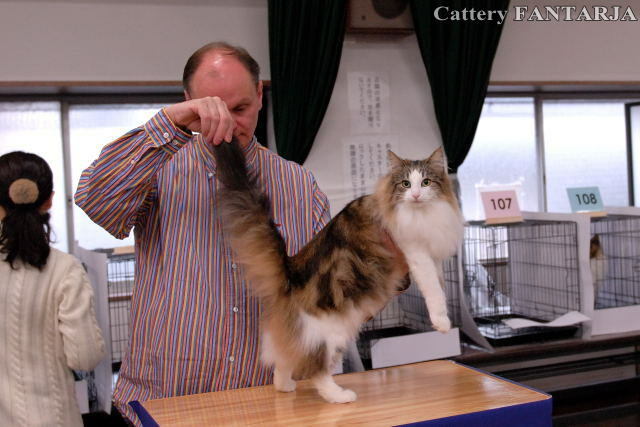 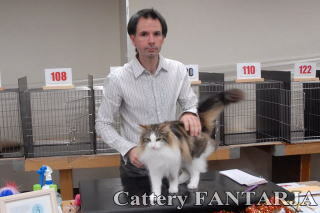 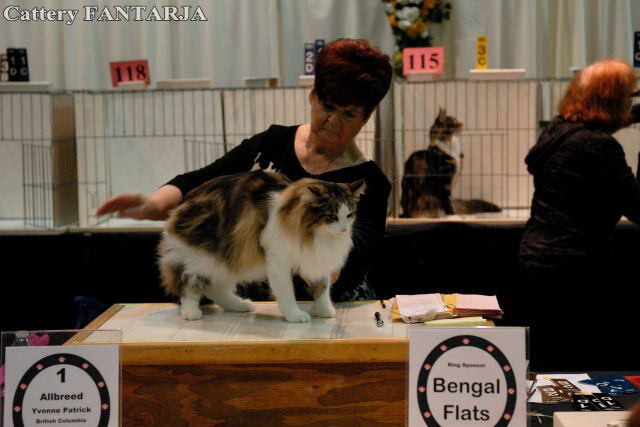 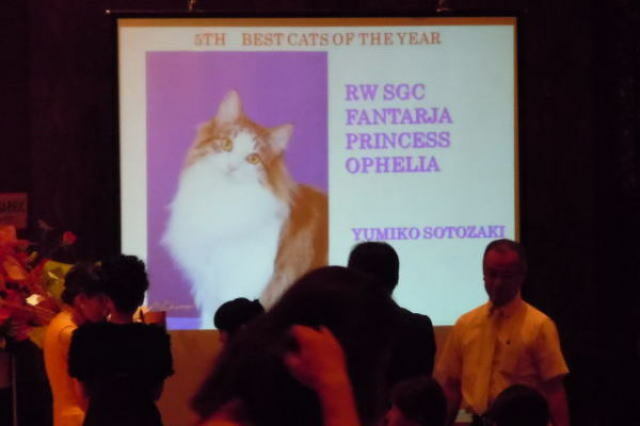 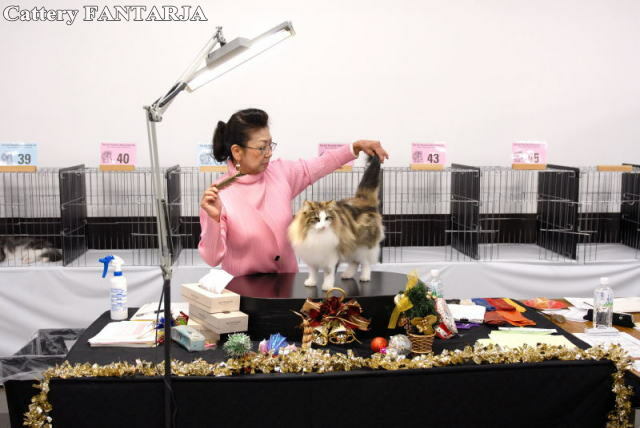 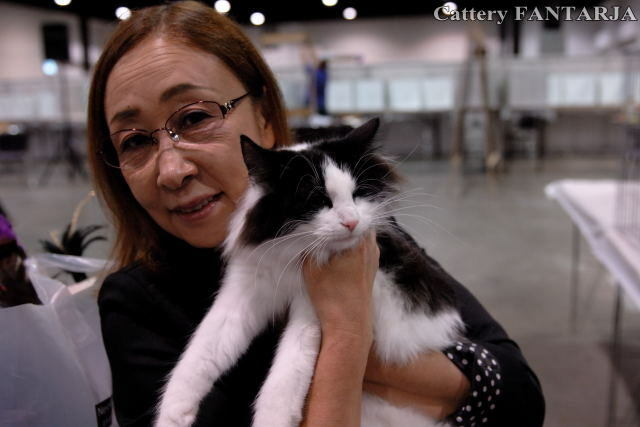 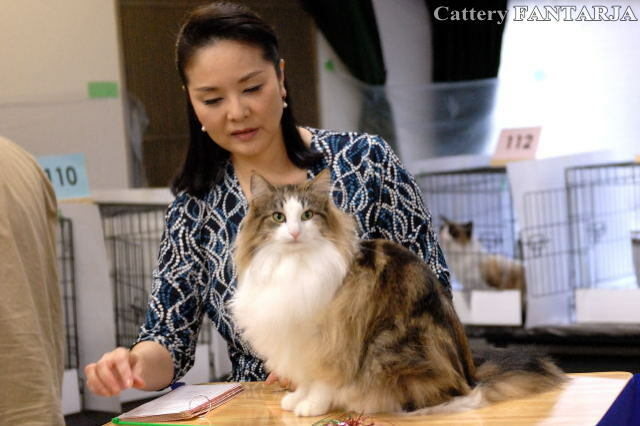 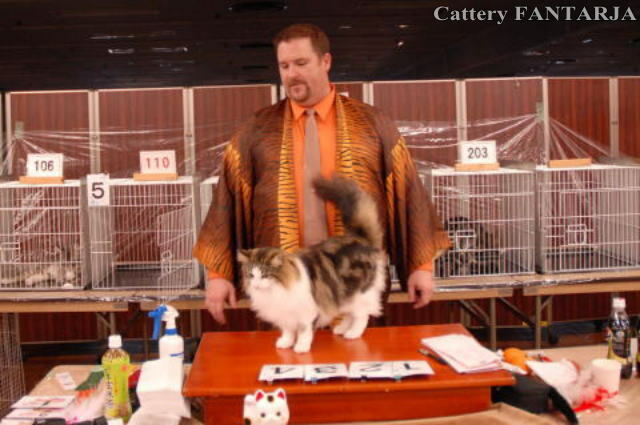 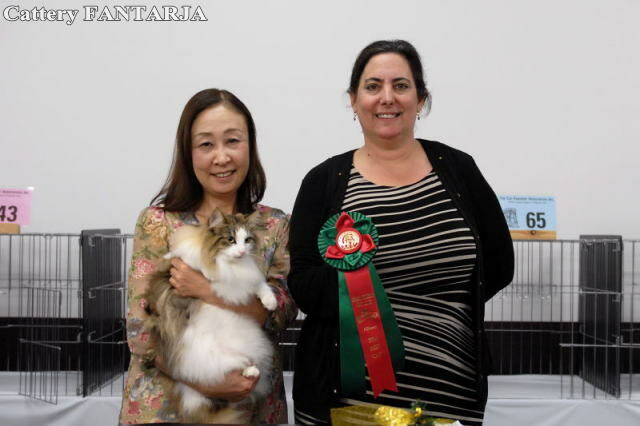 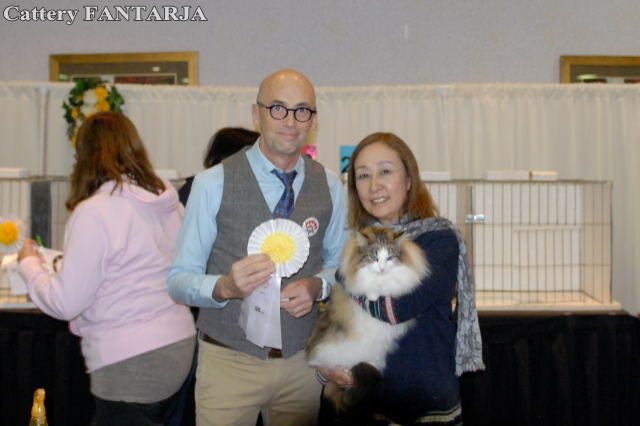 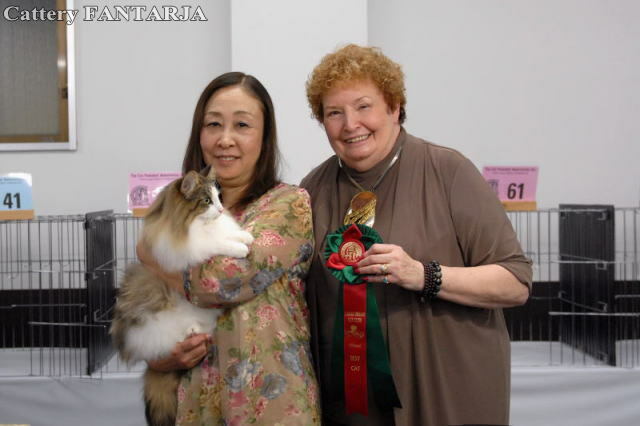 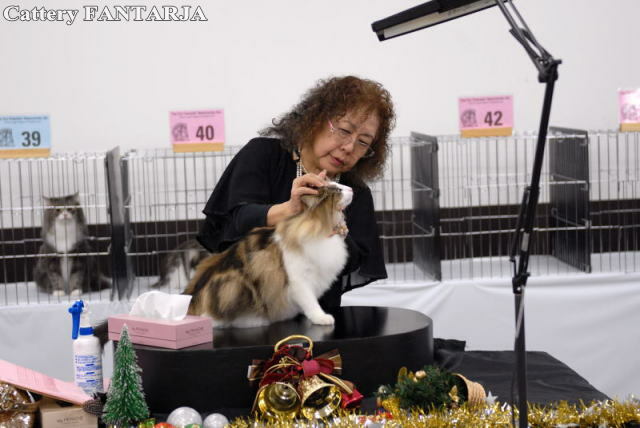 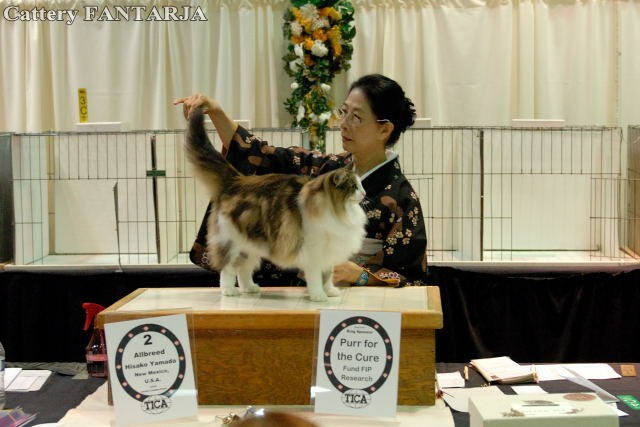 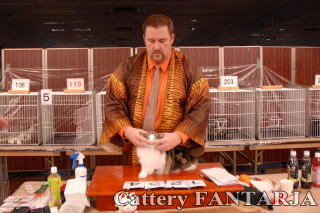 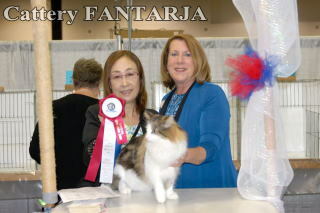 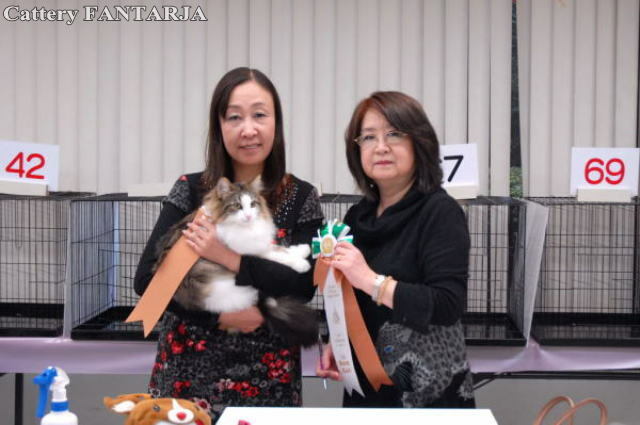 It is amonopoly Ophelia in cat show in Japan. 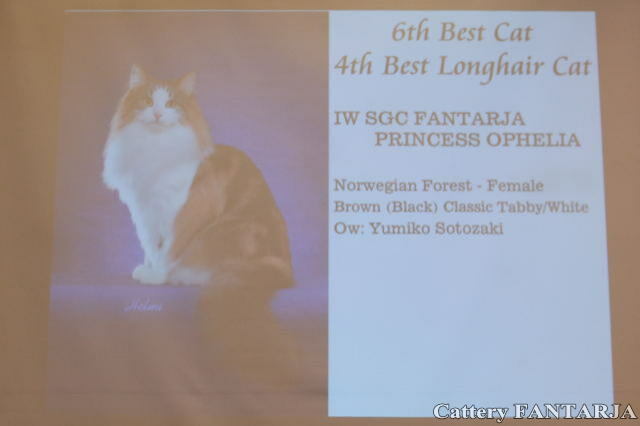 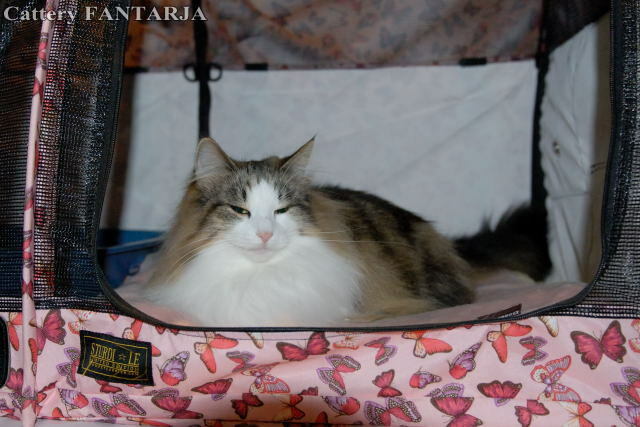 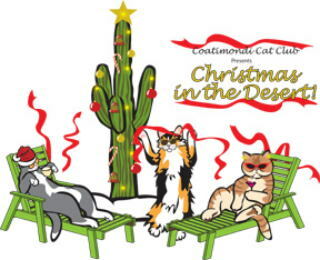 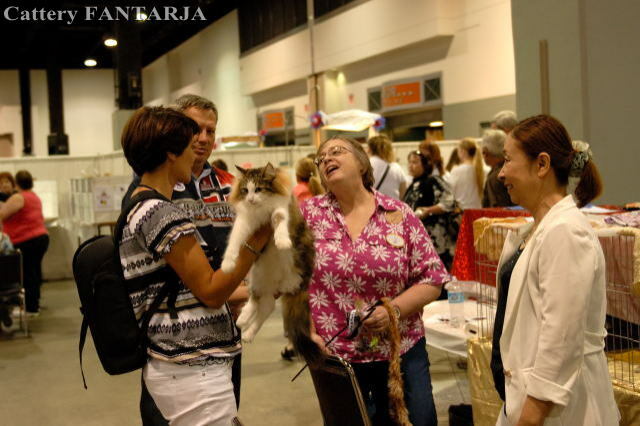 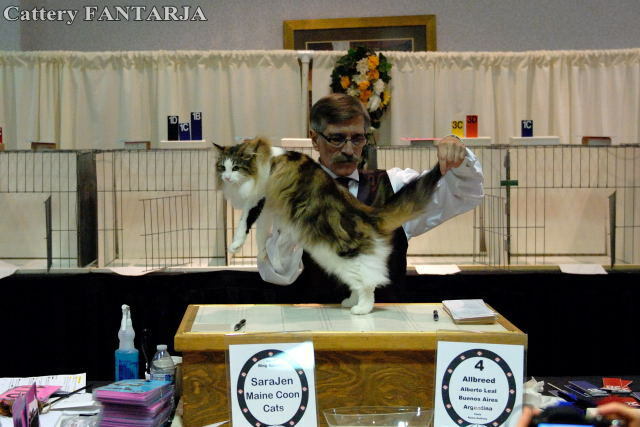 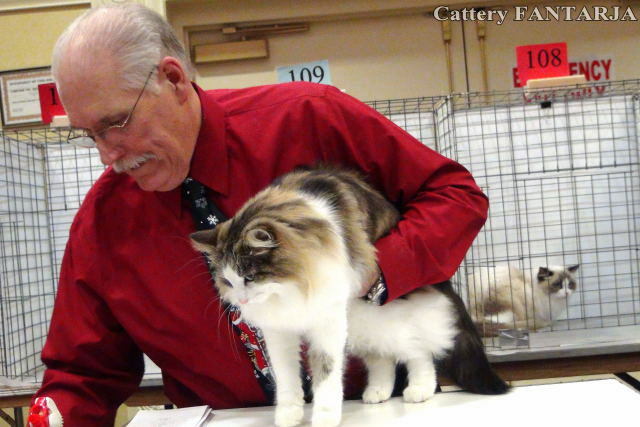 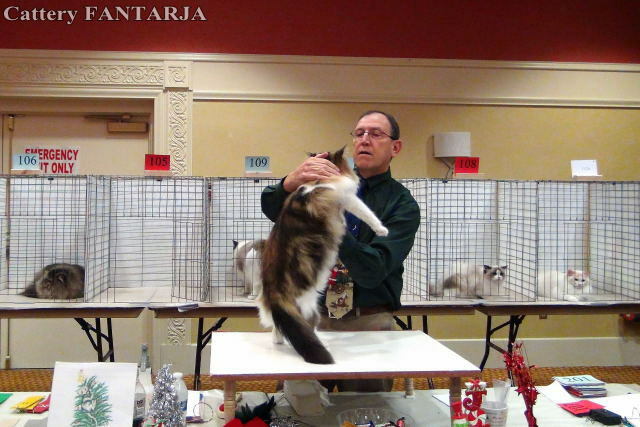 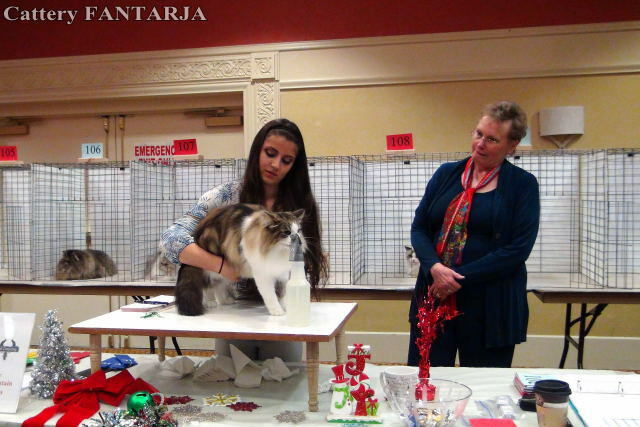 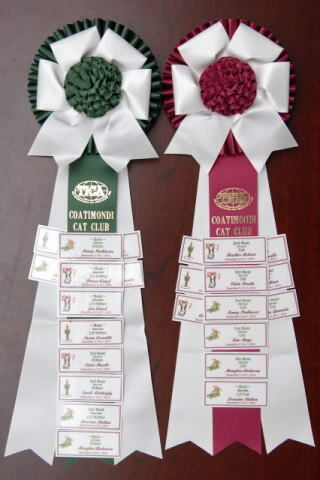 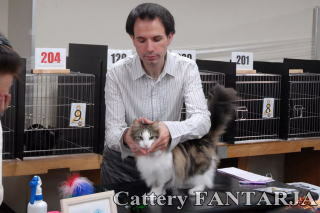 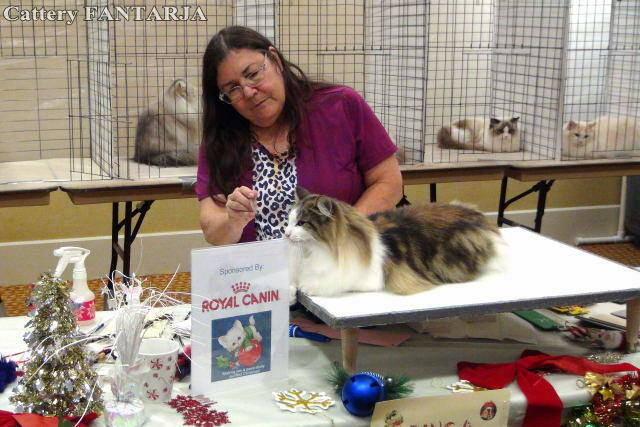 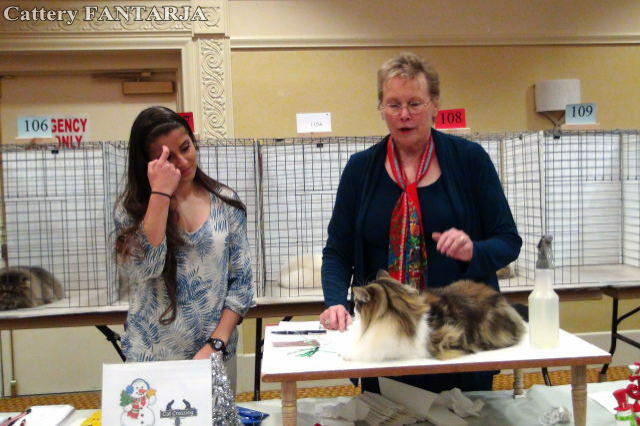 Ophelia was given an evaluation of best cat from many judges. 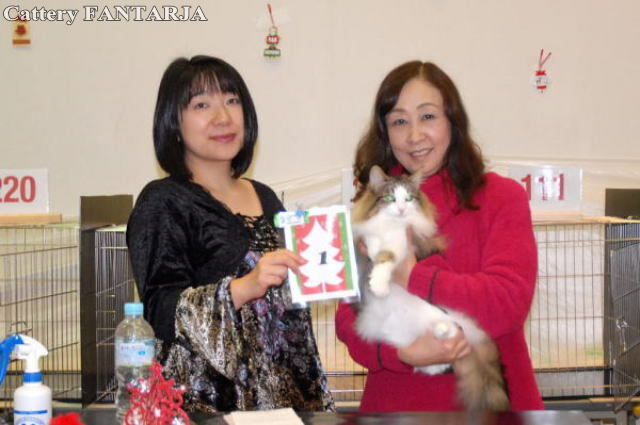 "DeVilbiss" came to Japan from the United States.